I'm with family, so I'm going to keep this brief. I got word that my friend, Kristen, died yesterday morning. So, as I celebrate the birth of Christ, I'm remembering that his birth eventually led to his death (as it does for all of us). I know that she was in peace, and that will be enough for me. And it came to pass in those days, that there went out a decree from Caesar Augustus that all the world should be taxed. (And this taxing was first made when Cyrenius was governor of Syria.) And all went to be taxed, every one into his own city. And Joseph also went up from Galilee, out of the city of Nazareth, into Judaea, unto the city of David, which is called Bethlehem; (because he was of the house and lineage of David:) To be taxed with Mary his espoused wife, being great with child. And so it was, that, while they were there, the days were accomplished that she should be delivered. And she brought forth her firstborn son, and wrapped him in swaddling clothes, and laid him in a manger; because there was no room for them in the inn. And there were in the same country shepherds abiding in the field, keeping watch over their flock by night. And, lo, the angel of the Lord came upon them, and the glory of the Lord shone round about them: and they were sore afraid. And the angel said unto them, Fear not: for, behold, I bring you good tidings of great joy, which shall be to all people. For unto you is born this day in the city of David a Saviour, which is Christ the Lord. And this shall be a sign unto you; Ye shall find the babe wrapped in swaddling clothes, lying in a manger. And suddenly there was with the angel a multitude of the heavenly host praising God, and saying, Glory to God in the highest, and on earth peace, good will toward men. And it came to pass, as the angels were gone away from them into heaven, the shepherds said one to another, Let us now go even unto Bethlehem, and see this thing which is come to pass, which the Lord hath made known unto us. was told them concerning this child. And all they that heard it wondered at those things which were told them by the shepherds. But Mary kept all these things, and pondered them in her heart. And the shepherds returned, glorifying and praising God for all the things that they had heard and seen, as it was told unto them. I'm getting ready to head out to Seattle to be with Richard's family for Christmas. We do this trip quite a bit, so I'm used to it. The flight is pretty long (close to 4 hours). However, I'm using my super powers of peering into the future, and I see a much longer travel day ahead of me. First of all, pretty much the entire US (or at least the parts that I care about) are under a winter storm. I shoveled three times yesterday, just to keep the driveway passable. When calling out to Seattle, they are predicting a foot of snow today. I think that means that I'll be sitting, either in the airport or (worse) on the tarmak, waiting to take off. Secondly, we are not going to be visiting relatives that live right next to the airport. Instead, we will be driving to Richard's mom's, which is a little over an hour north of Seattle, which is about 30 minutes north of the airport. And it's Christmas. And there is a foot of snow. At one time, she was going to pick us up and we were going to play in Downtown Seattle, but with the snow, we are just treking up to her place to hunker down for the week. Once we get there, all will be well. I bet we'll drink hot cocoa (hopefully with a little Irish Cream in it! ), and chat. She has a lovely house, so I'm excited about being there. Just not excited about getting there (on this particular day). 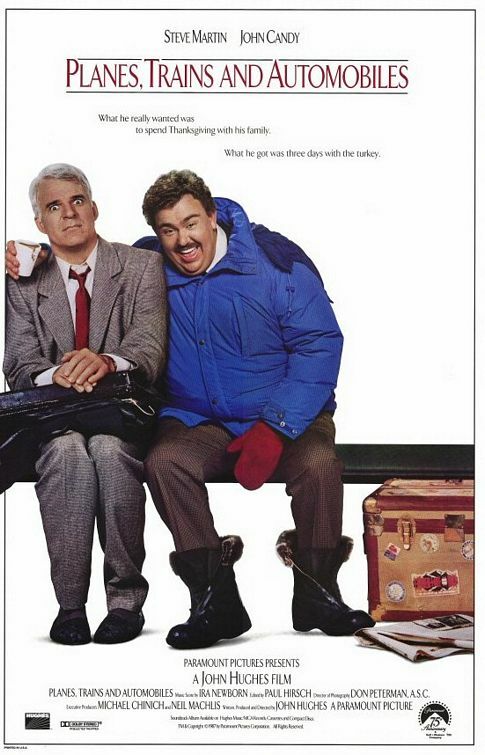 I hope your Christmas travel plans are save and that you end the day with those you love. In September about one of our students, Ahmednur Ali, who was shot and killed during our Homecoming week. In all, we have had four student deaths at our college since this summer. Two were a week apart. One was Thanksgiving weekend. In addition, I've just learned the my friend, Kristen, is going into hospice care for ovarian cancer. She is only 35. She and her partner were married this September, and she looked beautiful (and bald). Knowing that she is getting ready to die is really affecting our household. We are asking ourselves what we really want out of life. How do we balance a smart planning for the future with the expectation that we don't know the number of our days? It's a constant struggle. It's hard to be around all this death, and not be affected by it. With many of the others, I was a little distant, but this is different. She is a close friend. I admired her so much. She was so strong. I've been listening to NPR a lot lately, and there has been constant talk about the economy. I've followed the auto manufacturers during their TWO trips to Washington, DC. One pilgrimage was made in three separate private jets. The next was made in a caravan of hybrid cars. Yet, I don't feel bad for them. 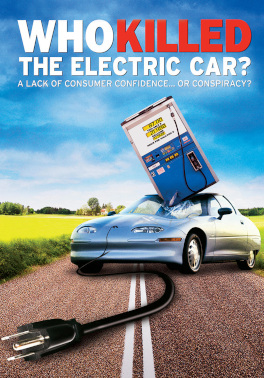 A few years ago, Richard and I watched a wonderful documentary entitled, Who Killed the Electric Car? It told the story of how GM had electric car technology as far back as the late 1990s, yet they completely scrapped the project, taking the cars away from customers and removing all evidence that the electric car even existed. Now, we are being told that we need to wait another two years for the Chevy Volt. Why? If they made one electric car, why is it so hard to make another one? That's not what I wanted to talk about today. I wanted to talk about politicians that are so fearful of raising taxes that they refuse to lift a finger to help real people. Their logic is that when the economy is bad and money is down, then the government shouldn't be taxing more people. They think that the people will resent having their taxes being used to repair crumbling bridges and highways. They think that people don't want their taxes being used to move our country away from the oil addition. Perhaps they are right. I'm sure there are folks out there who don't want to give any of their money to help society. They feel they are fine on their own. But I don't even want to talk about them. I want to talk about how the essentials of our lives are becoming more expensive, but the crap that we don't need is getting less expensive. The price of a new flat-screen, high-definition television is dropping, but the cost of my food is going up. Toys are getting cheaper all the time, but heating oil is rising. Wal-Mart will now carry the iPhone for really cheap, but my insurance rates are rising. I don't mind paying taxes to help our society. What I don't want is to pay my taxes so that my doctor has to pass most of his money onto a lawyer, an administrator, and an insurance company. I'm sorry if I'm harping on the economy so much in these last few posts, but really, it's something that we all need to think about. We got into this mess because people took out credit that was too much for them in order to purchases houses that were too big for their families. Businesses continued to take risks and operate as if nothing could go wrong. Well, now is has. Instead of crying to the rest of us, maybe you should be making a product that will make sense in this day and age. AND...(this is my final point in this little rant)...the answer is NOT for us to go out and drop a lot of money on CRAP that no one needs. There is no reason that people need a Christmas gift, just "to be able to open something." Donations are good gifts that people can open. Experiences and travel are just as exciting as a doll or a DVD player or a digital camera. I don't need to "open" anything. I have all the stuff that I need. I just want to eat a nice meal with the people I love. OK - I want a trip to New York too...but that can come in good time. Clean Up! Clean Up! Everyone! Everywhere! So, I'm supposed to be cleaning my house for a get-together with friends this weekend. Instead, I'm wasting time on Facebook and writing this blog entry. Why? Because I get tired at night, and I just don't want to. Before you accuse me of being lazy, I'll have you know that I worked until after 6:00 tonight, after being at work at 7:45 this morning. I'm getting tons done at work, but at home, accomplishment seems to allude me. In the cleaning process, we have run across a stack of Fortune magazines. In our MBA program, we were convinced that any serious MBA student should be reading the Wall Street Journal, the Economist, Forbes, or Fortune. We went for the cheapest option that existed (Fortune). The problem is that neither of us have time to read this fine magazine that we have now ordered. When we aren't working, or out of the house, or cleaning that darn house, we are too vegged to want to read about our tanking economy, and how we can get rich off of others' misfortune. How much do I care that my house looks a little dumpy? A little. I mean, it bugs me that we have peeling paint and dust bunnies, but not enough that I want to do anything about it. Ugh, I have a bad attitude about the cleanliness of my house. Sometimes, I want to dump it and move into a hotel with maid service. But no hotel for me anytime soon. I guess you could say that I have a hard time with the future and the present. I can tend to live into the future so much that I neglect the present. I have a habit of getting too speculative on what could happen in the future. For instance, I could be preparing for something, but when a wrinkle comes along, or something changes, I often just stop my original plans. This has cut off a few options for me in the past. I'm trying to work on it. But it's so hard to not want to see your future realized. I have these romantic notions of what life "could be" like, but I don't have a plan on how to get there. Does this sound like Advent? When we are waiting and preparing in Advent, are we supposed to let this life and this world go? St. Paul advised many of his congregations to not marry or do any of the things pertaining to this earthly life, because Jesus' return was imminent. Now, several hundred years later, we don't really buy that. Of course, there are a few fringe groups that will shirk this world because they are getting ready for the Apocalypse, but most of us talk about this life like we are going to get to live it without interruption. How do we do both well? Effectively? I've noticed that I can hurt my future by not focusing on the issues I need to deal with in my present. Maybe the key to Advent is that we are working on the present so that we can live into a fuller future...whenever Jesus is to return to this earth.